Here are my favorite tips for being healthier and more vital every day. I hope you enjoy them! b. Hugs stimulate the brain to release dopamine, the pleasure hormone! c. Hugs are free and really fun to give and receive! 6. Turn off your phone! Its not just your kids that are addicted, you are too! When you are done your work day, be done. Those little ‘pings’ that notify us when someone likes our post, or messages us etc, increase our cortisol levels every time we hear them. Switch your phone on airplane mode and take a break! Having more fun and being silly more often will make you more productive, not less! Research has proven this is true. Take a break, have a blast and forget about all the work you have to do. Bars, even the healthy ones, are high in sugar. Smoothies are sugar bombs. Supplements can’t make up for a poor diet. Plus, if you are eating a bar for lunch you are probably doing it in the car or hunched over your computer, OR in between clients. You body needs to “rest to digest”. Enjoy real food that fuels your body, and take time for it. Sure life is crazy, and no one has time to keep their house and office always tidy and fresh. But, my mom taught me to add a little bit of beauty to even a small space to calm my mind and increase my productivity. It works for me and it might work for you too! Today I simply cleaned off my dining room table and put a small vase of garden flowers out, and that helped me to sit down and write this blog for you! I highly recommend Head2toe. After 6-7 sessions with Dr. Lee I am able to play handball and golf with much less pain. Dr. Lee was able to diagnose my lower back pain and the proper treatment for it. I have been to many other professionals that were unable to accomplish this. The whole staff is very friendly and professional. The complimentary sessions for veterans are greatly appreciated. Dr Annie and her team are amazing. Everyone is kind and helpful and the results I received from the treatments and exercises were fantastic. I came in to the clinic, barely able to walk from an injury at my gym and after 6 sessions I am back to exercising and walking again. I am grateful for the help and the recovery I received at Head2Toe. Came in to get relief from left thumb pain mainly and also sciatica and knee pains. Been to PTs over the years, but this time Dr. Lee showed me new (to me) exercises to keep me pain free. I thought I knew where my core was. Oh no, I am enlightened now. Dr. Lee also addressed my lymphatics and wow what a wonderful difference. My sister recommended Dr. Annie’s office, and I most emphatically agree. They know what they’re doing. And I’m keeping up with my exercises. Thank you Drs. Annie and Lee! Game changer! Dr. Lee skillfully helped me get back into full recovery after spraining my SI joint. Even though I have to travel quite a distance to get there, it is worth it! I highly recommend Head 2 Toe! I have recommended Head 2 Toe Spinal and Sports Clinic to many friends and family members. All have gone and received treatment there. And all agree that this clinic is outstanding!! The chiropractors there are different from anywhere else that I have ever been. As a patient; they are gentle, no painful adjustments, and they take their time with you. Dr. Bruce is superb! He went above and beyond to help get me back on my feet not only with pt but also checking other aspects if my body ti get diagnosed. I've been to several other doctors and surgeons and none of them knew what my problem was. I got the resources I needed to get the proper diagnosis from Dr. Bruce! The front desk is friendly, and they are very clear about the billing structure and now much I will have to pay. I’ve been working with Dr. Annie for a couple of weeks now. I highly recommend her! The whole staff is very friendly and professional. I couldn’t be happier with their services. The doctors and therapists at Head2Toe transformed me, starting on day 1, with therapy, exercise, and the gentle reminder that I don't have to live in constant pain. I grateful for the service Head 2 Toe has provided! I hurt my back and they had me up and running in no time. They also helped with exercises that would give me with more strength. I would highly recommend this clinic as their doctors and staff are outstanding. I have seen 3 out of the 4 doctors at Head 2 Toe. I've had chronic back pain for years and have made more progress here then with any other single therapy (traditional chiropractic, PT, Arrosti, massage therapy). Within 4 months, my pain went from a 9-10 down to 1-2! I appreciate the standard of care and compassion displayed by everyone at this office, I was having a lot of paid when I arrived and after several weeks the team was able to not only diagnosis my issues but also work together as a team to help me move to a more pain free state. I worked with Dr.Annie and Dr. Bruce both are absolutely amazing, I have been to many professionals over the years all of whom tried to help me but were not able to achieve the results this team of professionals did in a very short period of time. I would highly recommend this facility to all my friends and family. Staff seem very knowledgeable. I feel like I'm at the right place for better back health. Dr. Annie and her team at Head to Toe were a strong recommend by members of my gym. I received excellent care from Dr. Bruce. I’m very happy with my improved limb mobility and ability to continue physical activity pain free. Annie and Lee validated and listened to my experience with my health issues more than any other doctor ever has, and as a result were able to get closer to the solution. They took on my challenging headache case with a strong desire to get to the bottom of the issue. These providers are some of the kindest and most knowledgeable you'll ever meet. This place is awesome. The team are super friendly and have great complementary skills and bring their A game. Very knowledgeable. Needed relief from chronic tight ligaments involving the SI joint and IT band. The team offered several therapies to address my issues including Active Release, spinal adjustments and cupping. After 6 treatment sessions I had 85% improvement in my pain and soreness. I’ve continued to improve with exercises/stretches/foam rolling done at home. Great office and very pleasant people. Great experience! I've been coming here for about 6 months or so ever since my previous chiropractor left his practice. I was seeking someone who could help continue the success I've had with soft tissue treatments (Graston and ART) for a knee injury I've had for years. I chose this clinic because they do a lot of that soft tissue work and also because I thought Dr. Annie would be a good fit for me as she has been a triathlete, like me, and I wanted someone who understands the needs of athletes.Dr. Annie is really amazing. Brian, her trainer who does some of the treatments, is also amazing. Dr Bruce, who has worked on me a few times when Dr. Annie was out, is also amazing (not for the faint of heart, though-- but so worth the pain!). I came in wanting monthly maintenance treatments for my knee and I will admit I was a bit skeptical at first when they proposed weekly sessions with a bunch of new types of therapy (including "cupping" on my quads). But I gave them the benefit of the doubt and I really have been *thrilled* with the progress I've made. I had a fantastic racing season and had not ONE murmur of pain from the problem knee that was my limiting factor for 10 years. I am so grateful for Dr. Annie and her team for their very personalized, caring, and thoughtful approach to treatment. I would recommend these guys to anyone. I also recommend the office staff, as I had a billing/insurance snafu that came up and they resolved it with my insurance company without me having to lift a finger. It took weeks of calls on their part and I really appreciated it. FYI, parking is free and plentiful and the building is easy to find, though their suite took me a bit of poking around to finally locate. They are on the first floor left in the back. Incredible team work, gets lasting results, different approaches depending on the need. So grateful I found them. Feel very confident with their services. It will be hard to top them if I ever have to go someplace else! The doctor's and staff provide excellent service. The wait times are very short. They usually see you within a few minutes after check in. It may be worth your time to give them a try and see for yourself. I worked with Dr Harris and Brian, the athletic trainer after a neck injury and I would highly recommend! I'm also a rehab professional, so I'm not into the adjustment with no follow-up type of chiropractors, but Head-to-Toe has a comprehensive approach and I saw them for several treatments to put together some exercises to help avoid injury in the future. Definitely a good experience. I had seen a doctor for some intermittent knee pain. My doc recommended PT before we went and performed any imaging. 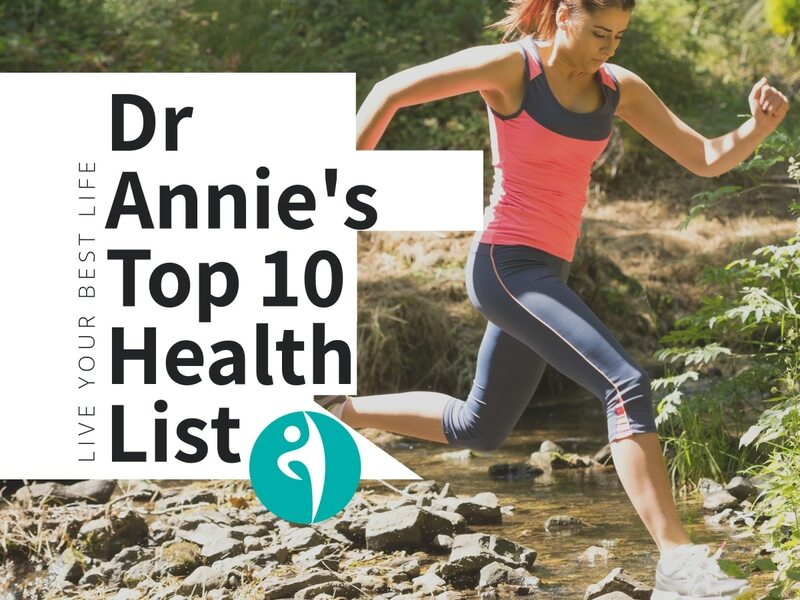 A few of the people who I work out with regularly referred me to Dr. Annie at Head 2 Toe. They were easily able to diagnose the cause for my treatment: right tight quads! My treatment: cupping! This worked wonders on my legs and knees. Some days it used to hurt to walk, let alone run. After a cupping treatment or two, it really helped and allowed me to increase my activity level without any discomfort. I have been SWEARING by the cupping treatment and would definitely recommend Dr. Annie and her clinic. The team at Head 2 Toe work diligently to get to the source of the pain and their treatment plans work! Both my husband and I have had rapid improvement with treatment and have tools to help keep improving. They do not prescribe appointments beyond what is needed, they truly want to see their patience get better on go back to their lives. I cannot say enough about this establishment. The entire staff is extremely friendly and helpful. The Dr’s (and their counterparts) listen and really make the effort to address your problem with care. I have never had to wait, they’re always very punctual. I have, and will continue, to recommend this clinic to everyone I know. I want to give a shout out to this amazing physical therapy, chiropractic and massage group in Edmonds Washington. I have never received such great care from one medical professional, let alone a team of professionals. I ended up to seeing two therapists today that I was not scheduled to see just because it was needed to decrease my lower back and hip inflammation. Amazing attunement to clients and impressive medical knowledge!! Dr. Armstrong is simply amazing! Her team works diligently to get you feeling better on a reasonable timeline - which was exactly what I was looking for. Thank you, Dr. Annie! Love these guys! They're kind and friendly, they remember details about your life, and they want to help you feel better! I appreciate their approach to chiropractic medicine - it's more along the lines of osteopathy, with muscle manipulations and movement, etc. It has helped me restore mobility and correct my posture. I'm still on that long road, but I'm improving thanks to Dr. Bruce's efforts, and Kevin and Brian too. Dr. Annie is great also!